Day two, serving number three. As good as all the food was, I can’t forget to talk about the beer. 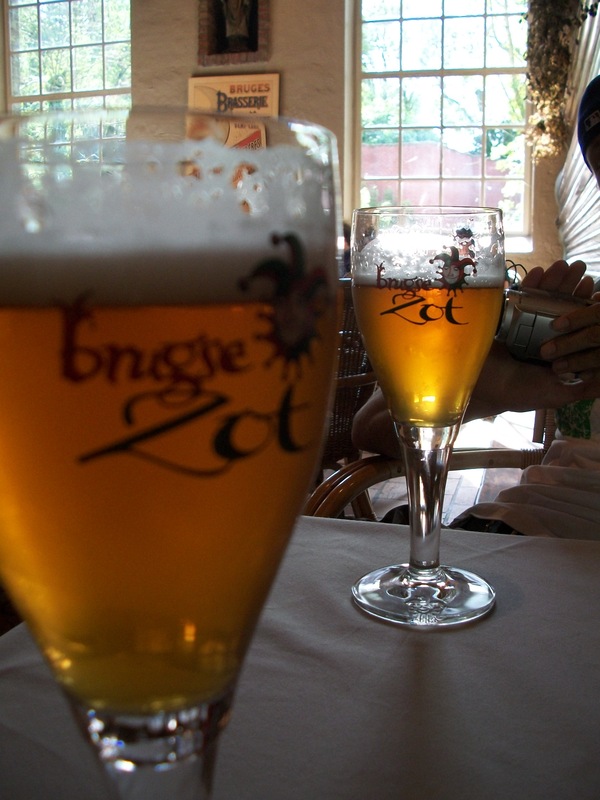 We visited a brewery the first day we were there where I found my new favorite beer, Brugse Zot. 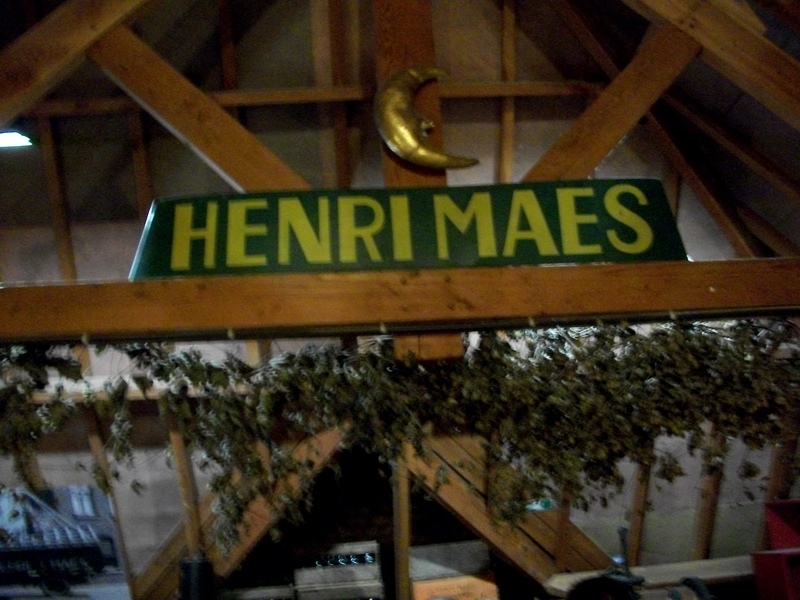 The brewery, De Halve Maan- I definitely suggest going, you get a beer with your tour!, seemed small but went on forever. It was cool to learn some of the history and see how beer is made, but the best part was definitely trying the beer. We tried a few more Belgium beers throughout the weekend and found another really good one, Leffe. These are probably the only two not light beers I actually like. Real beer that actually tastes good! 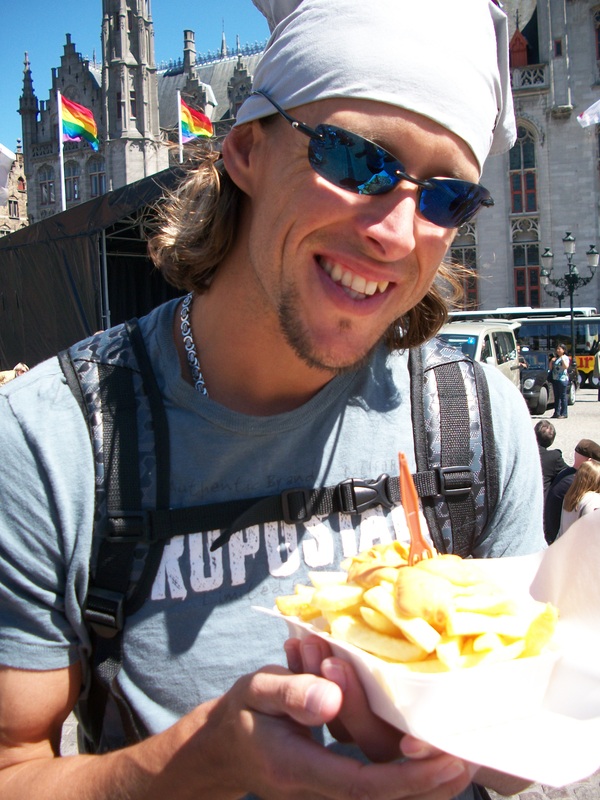 We didn’t just eat and drink while we were in Bruges. 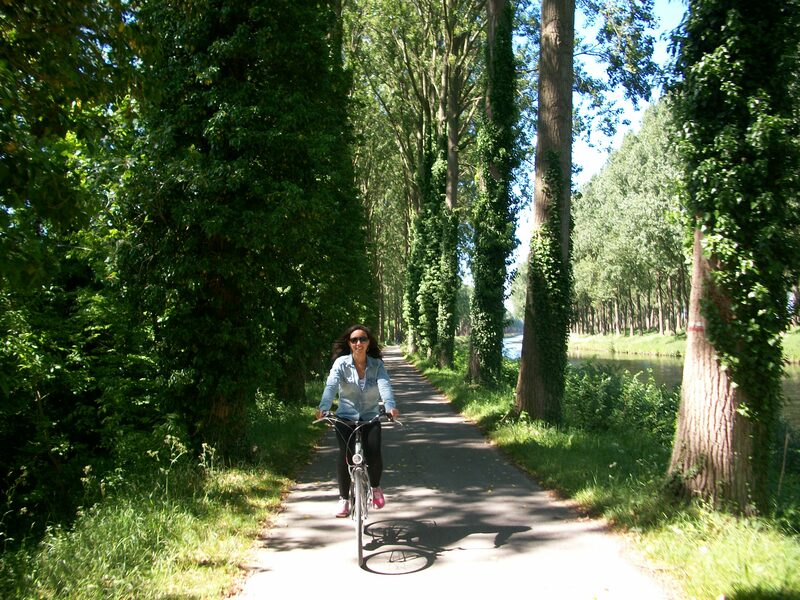 My favorite thing we did was ride bikes through the countryside. Not only did it burn off the extra calories from all the french fries, waffles and beer (hopefully! ), it was beautiful! 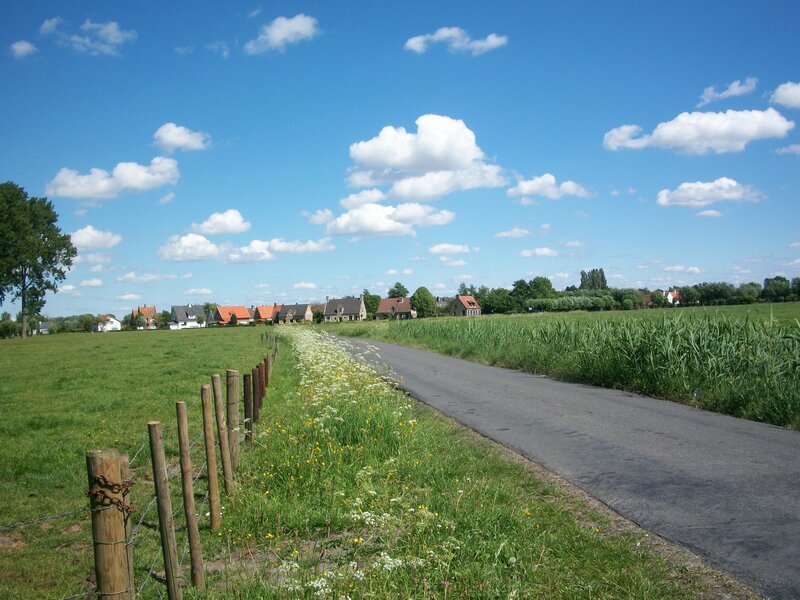 The sky, windmills and fields looked like postcards! 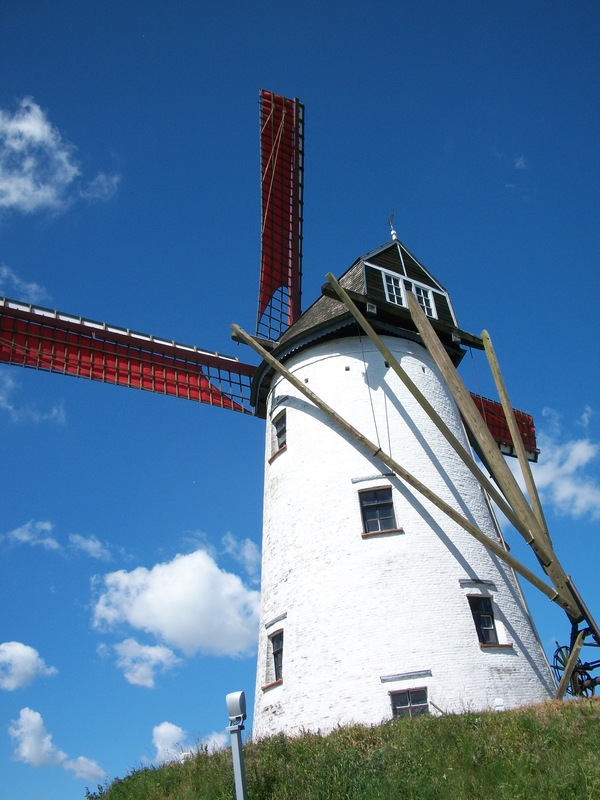 We biked through two tiny towns outside of Bruges until our butts were sore, had a picnic lunch and found a windmill that was still used to grind wheat into flower. All for only the 6 euros it cost to rent a bike for the day! This windmill is open to the public so we got to climb around inside and see how flour is made! So pretty it almost doesn't look real. We opted to go to Bruges rather than the bigger city of Brussels thanks to my trusty Rick Steve’s guide book, and I’m so glad we took his advice!